Description: A vibration motor! 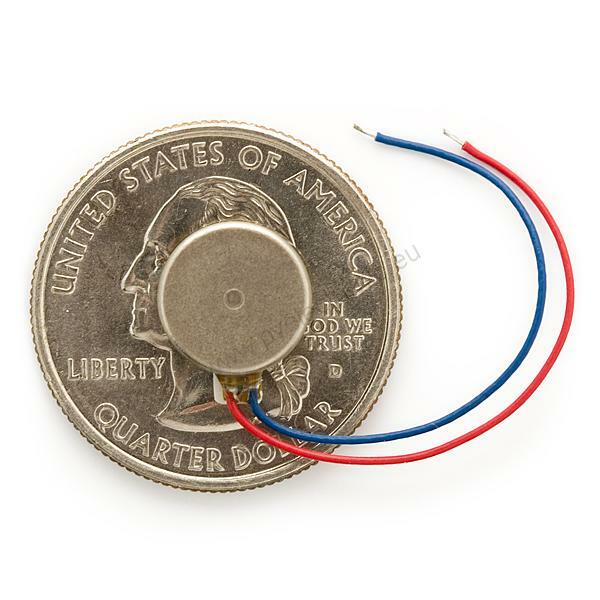 This itty-bitty, shaftless vibratory motor is perfect for non-audible indicators. Use in any number of applications to indicate to the wearer when a status has changed. All moving parts are protected within the housing. With a 2-3.6V operating range, these units shake crazily at 3V. Once anchored to a PCB or within a pocket, the unit vibrates softly but noticeably. This high quality unit comes with a 3M adhesive backing and reinforced connection wires.